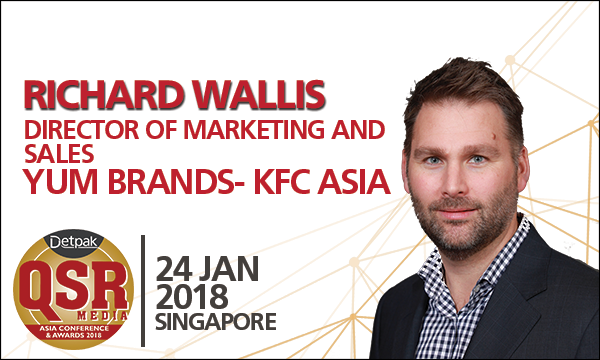 Richard Wallis has been the managing director and general manager for KFC Asia Franchise since January 2017. KFC is part of Yum Brands - a Fortune 500 company with over 44,000 restaurants in 135 countries. In his current role, Wallis is responsible for the KFC franchise operations for throughout Asia with over US$3b dollars in sales and 3,500 units across 14 countries. Whilst Wallis is new to Asia, he has almost 30 years’ experience in the QSR industry, with 22 years in Yum! across both KFC and Pizza Hut brands. Prior to his current role, Wallis was the president and general manager of Pizza Hut in Canada which is one of the most competitive Pizza markets in the world. He led the brand turnaround to profitable revenue and unit growth, with 4 consecutive years in the Top 20 Great Places to Work in Canada. Richard has huge breadth of experience in the QSR Industry. After starting his career as a delivery driver for Pizza Hut and moving through in-restaurant management roles, Richard was promoted into Yum’s Executive Trainee program. Subsequently he performed above restaurant and leadership team roles in Marketing, HR/Industrial Relations, Operations, Business Development, and IT. Wallis is a deep restaurant operator who believes in the power of culture and engagement to drive results, and is known for his growth mindset and development of people and talent. I believe in a growth mindset coupled with bucket loads of grit! Culture is one of the few sustainable competitive advantages that organisations can leverage. The immense power of distinctive positioning coupled with an easy and relevant brand and the value of authenticity & resonance in leadership matter. QSR Media: What's the most interesting consumer trend have you observed while working in KFC Asia? One would be the pace of transformation towards digital + mobile and impact on how this communicate with consumers. Some Asian countries are leaping on TV/desktop adoption, (e.g. Indonesia has 120M people out of 250M population accessing Facebook 1x month). Whilst KFC is a leader and has been in delivery for a long time, it is becoming table stakes for food brands and is an incremental channel for most. Core menu continues to be hugely relevant – and remaining true to your brand is even more important than ever. Barriers to entry are much lower, so the importance of distinctiveness is amplified to ensure you can cut through. Whilst there are lots that changed on the surface – many things have remained the same. A people first culture with the right Asset, Operations, Value and innovation continue to be the keys to success. 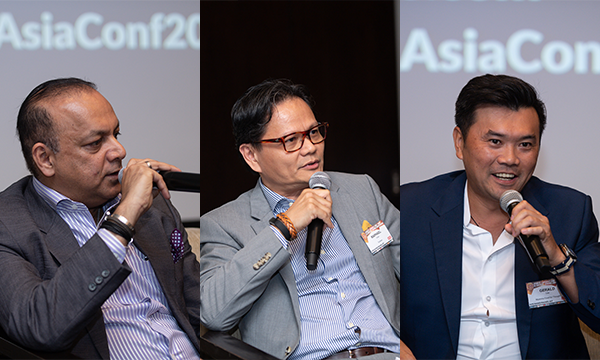 QSR Media: Is there a plan for a KPRO store roll out in Asia or overseas? First caveat - I don’t have responsibility for the China business and they are a public company so I’m sharing information they have shared publicly. KPRO is in test for Yum China. Often these concepts are often a test bed for products that may land on the main brand and give us flex to push boundaries on many things in the Asset, Ops, and Menu. KFC China’s overwhelming investment will be on the core businesses – you’ll notice they are opening Taco Bell and have a significant stake in Sherpa’s an aggregator. What’s more interesting is China’s strategy to dominate the market, the KFC brand is the most popular western QSR and the combined business has over 7,700 restaurants with 5,000 KFC. Our core KFC business when executed well has some of the most attractive returns in the business – but we need to have a healthy anxiety about the future!